This piece was created using pastels. 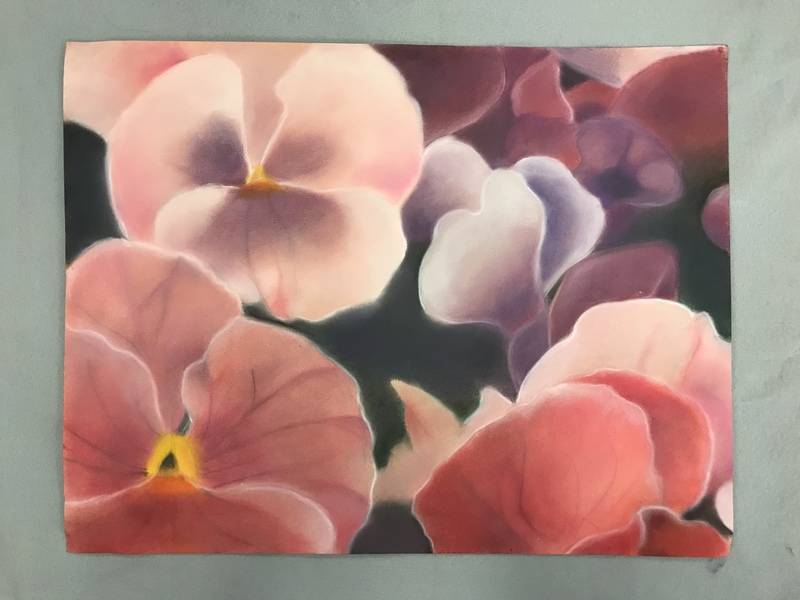 I chose to paint Viola’s because my great-grandmother name was Viola and growing up my mom, grandma, and great-grandma would buy Violas every spring and hang them up on their front porch. My mom and grandma still do to this day. Artwork Dimensions: 19" x 23"